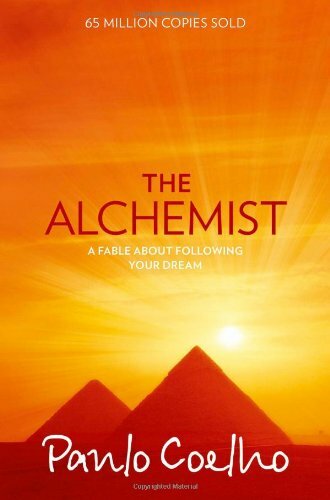 A global phenomenon, The Alchemist has been read and loved by over 62 million readers, topping bestseller lists in 74 countries worldwide. 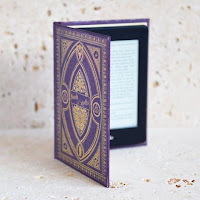 Now this magical fable is beautifully repackaged in an edition that lovers of Paulo Coelho will want to treasure forever. Every few decades a book is published that changes the lives of its readers forever. This is such a book – a beautiful parable about learning to listen to your heart, read the omens strewn along life’s path and, above all, follow your dreams. Santiago, a young shepherd living in the hills of Andalucia, feels that there is more to life than his humble home and his flock. One day he finds the courage to follow his dreams into distant lands, each step galvanised by the knowledge that he is following the right path: his own. The people he meets along the way, the things he sees and the wisdom he learns are life-changing. With Paulo Coelho’s visionary blend of spirituality, magical realism and folklore, The Alchemist is a story with the power to inspire nations and change people’s lives. I have a love of Egyptian history and anything Egyptian so I'm surprised I hadn't picked up The Alchemist before it was my book club read for December. Just the pyramids on the cover of some editions should have been enough for it to draw my attention but I'm embarrassed to say that I had never even heard of the book. The Alchemist is written as if it's a fable with the air of magic surrounding it. There's nothing more magical than an alchemist: one who can turn ordinary metal into gold but what about the treasure within ourselves? Treasure is what Santiago aims to find - he sets off from Andalusia en route to Egypt, encountering the usual thieves and rogues along the way, but learning lots of life lessons. He falls in love but never waivers from his mission, despite a few shaky moments. I really wanted to love The Alchemist but I didn't have any of those eye-opening moments that I expected. It's a good story but I felt it wasn't quite sure what it wanted to be: a bedtime story or a piece of adult fiction, perhaps some of that was down to the translation. It seemed very simple at times, reminding me of a bedtime story then suddenly it would be quite serious and frightening. I enjoyed the journey I went on with Santiago and it did remind me to look inside myself for my own treasure, but it wasn't a story I think I will remember for a long time. I'm glad that I read it and it didn't take much time to do so, but it didn't really live up to my high expectations. I think it is a timeless novel that many people will enjoy, but unfortunately it didn't set my world on fire.